Around May Day, dancers in parts of England are getting ready to welcome the Spring by morris dancing. They dress in colorful costumes and the bright and happy morris dance music is punctuated by the jingling and jangling of special bells worn on the legs. Since young children love to move and dance, making an easy version of this traditional “knee-pad” instrument can be a fun way to welcome a new season, to exercise and to explore world cultures. 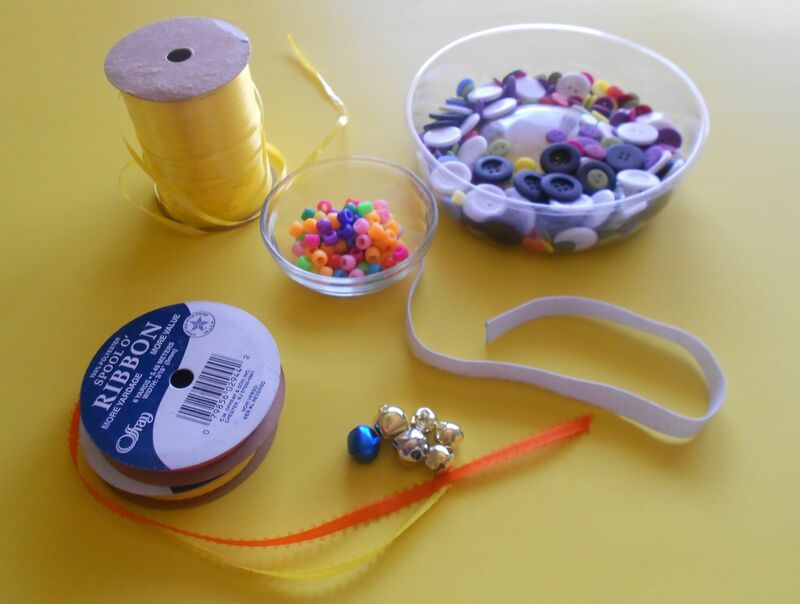 Here are the supplies you need for a simple, homemade version of morris dancing bells. Any number of extra buttons, beads or similar jangles. Start by cutting two pieces of elastic and making sure they can comfortably stretch around a child’s leg and sit just under the knee. Leave a bit of extra length for the elastic to overlap. This will be where you will sew or pin it in place. Place your elastic “laid out straight” onto your work area. Since most elastic is white, you can use markers to color and decorate it before you add ribbons and bangles. 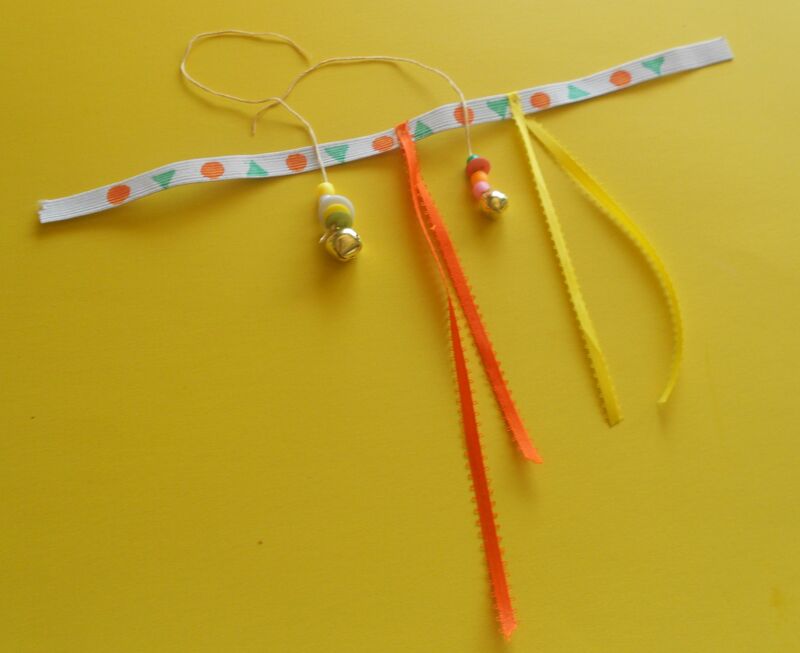 Create the hanging jingles by threading a jingle bell on a small ribbon or piece or embroidery thread. Tie it onto the end and then add on any other buttons, beads or jangles that you like. When you’ve reached the desired length, tie it in place onto your elastic. 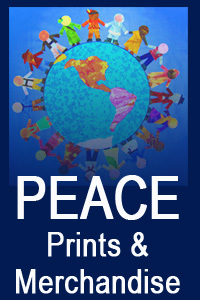 Add as many of these as you like. Add some ribbons or yarn to the morris bells. Sew or tie them into place. They may not add to the sound of your instrument, but they will move as you dance and add to the overall beauty of what you’ve created. 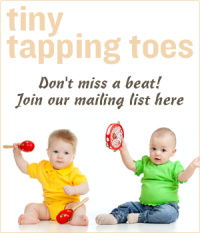 Last, sew or safety pin your morris bells to the right size for fitting around the leg of your child. 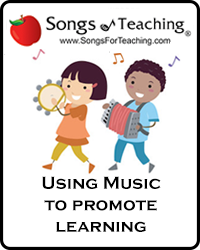 You can use this craft to explore the music of morris dancing or the general music of the British Isles. Or you can dance to any of your favorite songs. If you get a chance to see actual morris dancers, you’ll notice that both boys and girls participate in this dance tradition. 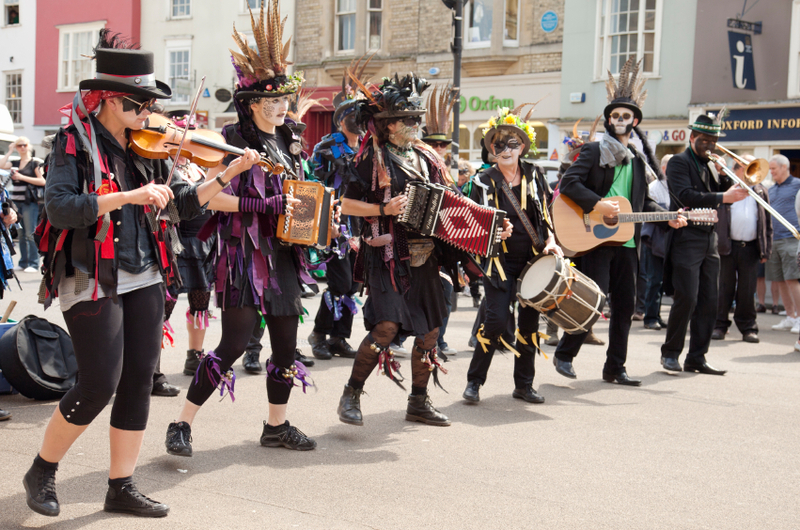 Although there are many different traditions of morris dancing, some also involve waving handkerchiefs, dressing up in wild clothes or having a parade – all fun activities to do to welcome the Spring.